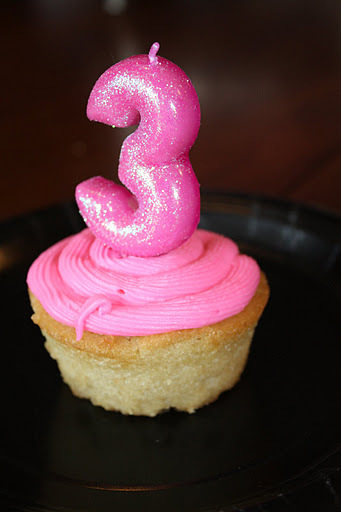 Daphne turned 3 this week. . . .although, she is trying to convince us that she is 16. Multiple times she told me, “I be 16. I be driving. You give me car?” Umm, no, not for a LONG time! 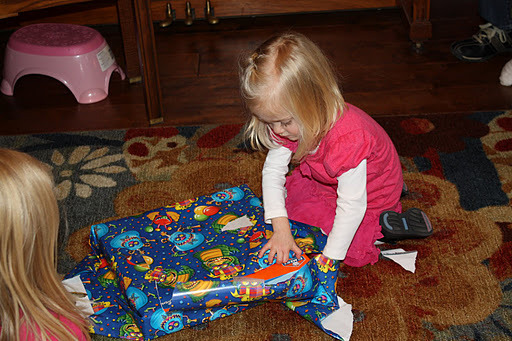 On her actual birthday we didn’t do much out of the ordinary – we just had a normal school day. When I asked her if she wanted waffles or spaghetti (her 2 favorites) for dinner, she said, “Quesadillas.” So, the girls had cheese quesadillas and we had tortilla soup. 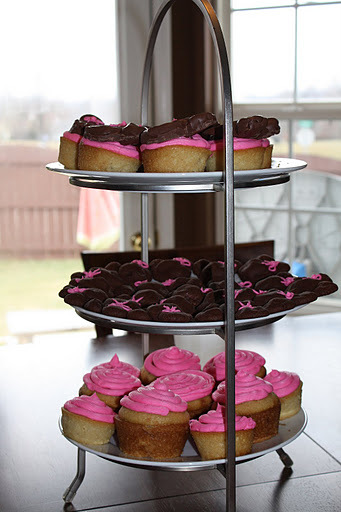 We had cupcakes after dinner – we tried a new recipe. 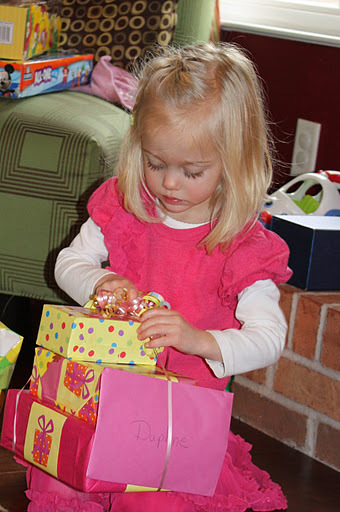 We had a little party yesterday – just family, but Daphne had a great time being the center of attention! 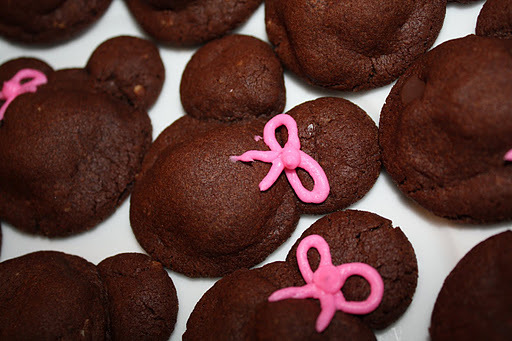 Daphne is a huge Minnie Mouse fan so we decided to do a few Minnie things for her party. The cookies are just chocolate cookies – my mom and I just rolled big cookie dough balls for the face and 2 little ones for the ears. We baked one tray to see how they turned out and then finished the rest once we saw how they turned out. 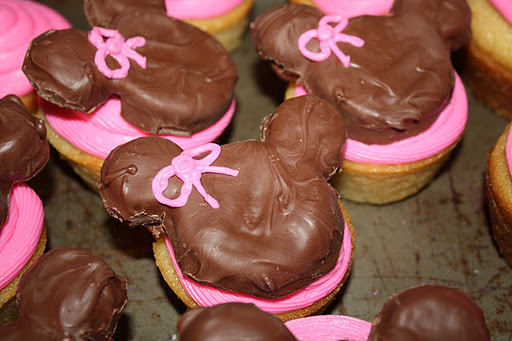 These Minnie Mouse heads are big and little oreos dipped in chocolate. This wasn’t as easy as I originally thought it would be – oh well. 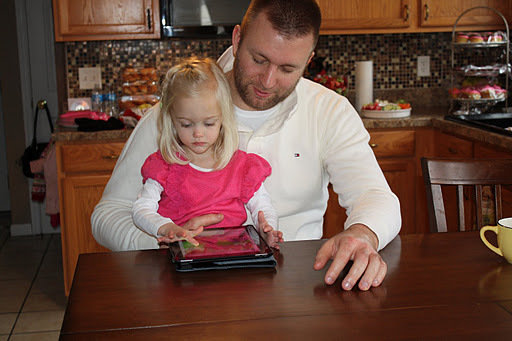 Showing Uncle Rick her favorite IPad games. Daphne was hilarious trying to blow out her candles! Check this out!! Daphne’s little Minnie Mouse hat was made by Joyful Creations. She makes great stuff. . . check it out! ← Run, Run, as Fast as You Can!